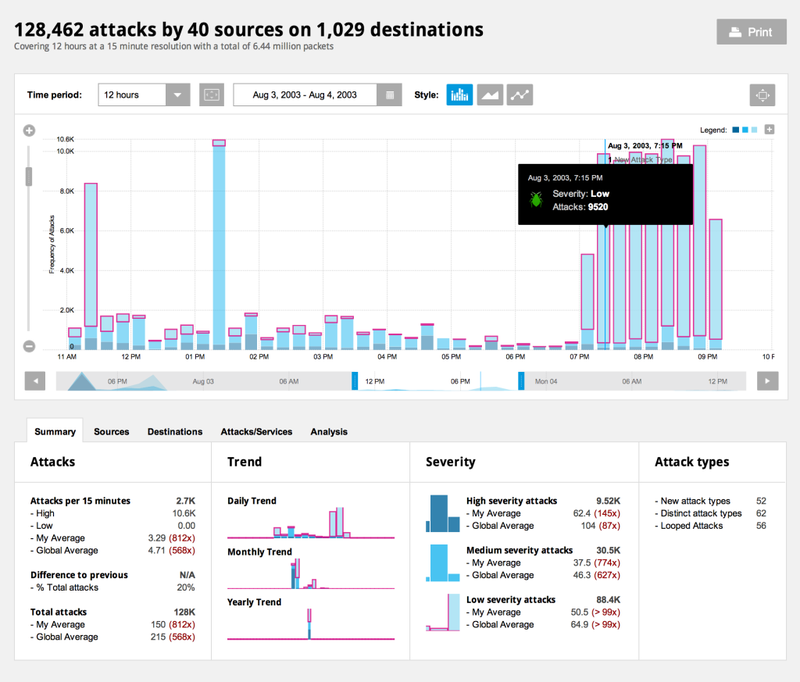 Packetloop is a tool to analyse network traffic through data visualization. It inspects every packet, conversation, protocol and file to find threats and variations from normal traffic. It doesn’t visualize live data rather it is build on file uploads. 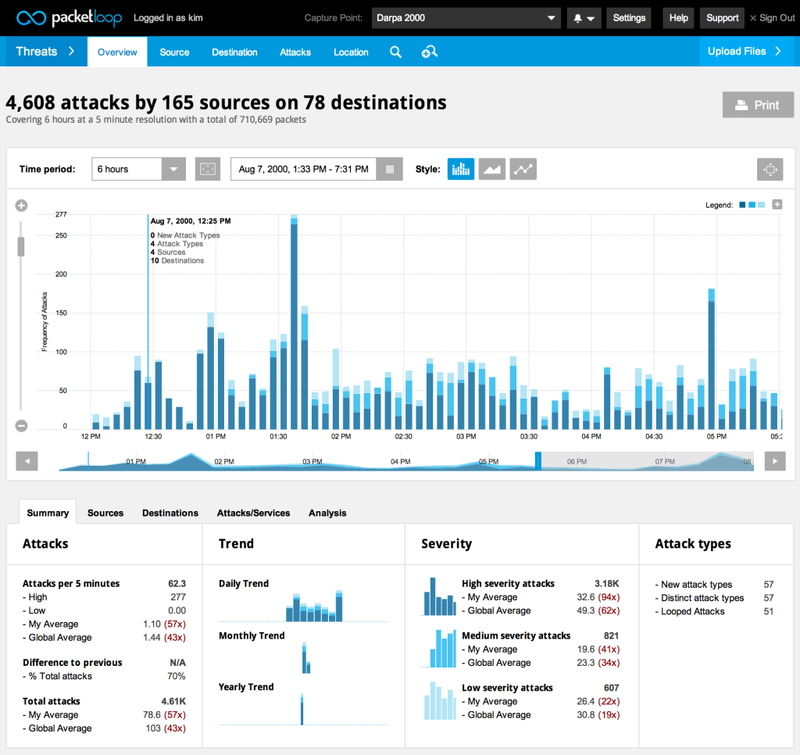 There are four different ways Packetloop represents the data, by threats, sessions, protocols and files by location. But so far only the threats visualization works.